Porter, TX (November 3, 2009) — Royal Purple is pleased to announce their line of high performance oil filters which combine advanced micro-glass technology, high capacity and optimized flow characteristics for maximum performance and filter life. Commercial fleets use advanced micro-glass oil filters to extend the life of heavy duty trucks and equipment. These high tech oil filters use special synthetic glass microfibers about 10 times smaller than conventional cellulose filter fibers to provide superior filtration. High performance lubricant manufacturer Royal Purple is now bringing this technology to the consumer market. Royal Purple oil filters allow change intervals to be extended up to 12,000 miles. Vehicles still under warranty should follow the vehicle manufacturer’s recommended filter change intervals. 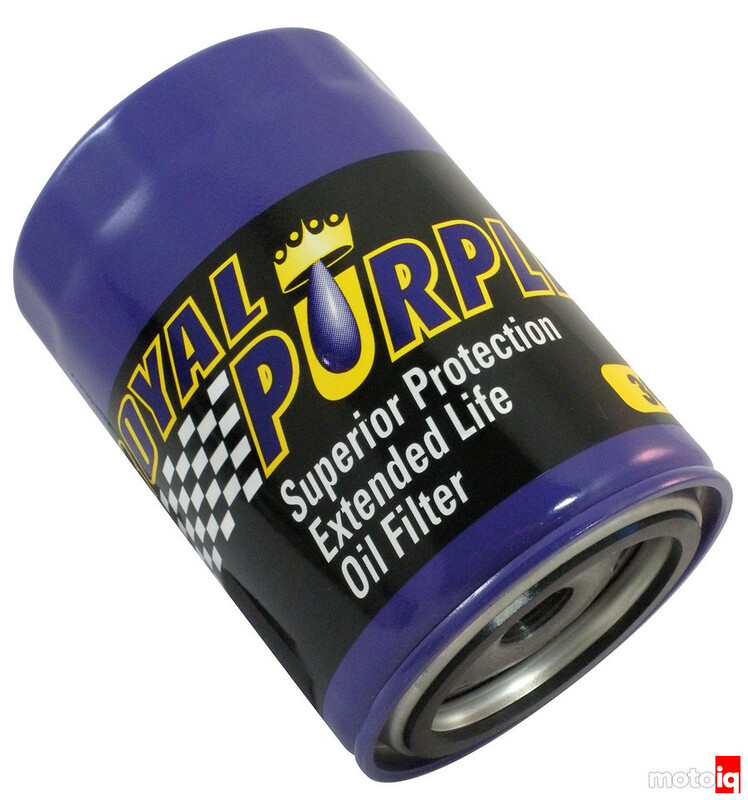 While Royal Purple filters are fully compatible with all synthetic and conventional oils, Royal Purple recommends using their high performance motor oil which, also, has a 12,000 mile life. Royal Purple high performance filters are currently available exclusively at Pep Boys. The filters will be available at other auto parts retailers this November 2009. Royal Purple makes synthetic products for numerous automotive and consumer needs. For more information on Royal Purple or its products, contact Royal Purple Inc., One Royal Purple Lane, Porter, TX 77365, 281-354-8600, www.royalpurple.com.